The best hotel accommodation in Zajecar. Fully equipped rooms and suites. Individual and group accommodation. Always good home cooking. We are located at the mere center of the city. Only a few minutes of many cultural and historical sites. 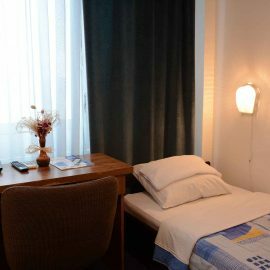 Hotel Srbija - TIS offers a large selection of single, double, triple rooms and suites. Only in Ethno-tavern “Srpska kuća” you can find a good old specialties from Serbian kitchen. Conference, presentations, company celebrations or meetings? We have the right answer for You. Allow us to cherish Your body and spirit with our extraordrinary services in various entertainment facilities. Have a wedding or a birthday party coming? We offer only the best for your friends and family. Only a few minutes of many cultural and historical sites. Quality service in a modern environment, with affordable prices. 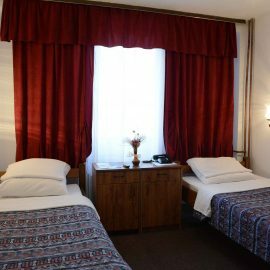 In addition to a very comfortable accomodation we also offer a very own parking space with video surveillance cameras, sauna, fitness, gym, table tennis, exchange office, mini market, casino. In our hotel You can use our free Wi-Fi, ADSL and many more. 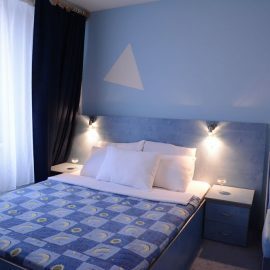 Hotel Srbija - Tis offers a large selection of single, double, triple rooms and suites. All rooms are comfortable, with telephone, bathroom, TV and fridge with drinks. Most rooms have view of the park with a fountain in the center. For the rooms on the upper floor there is an elevator.